Read Jason Kersten's posts on the Penguin Blog. 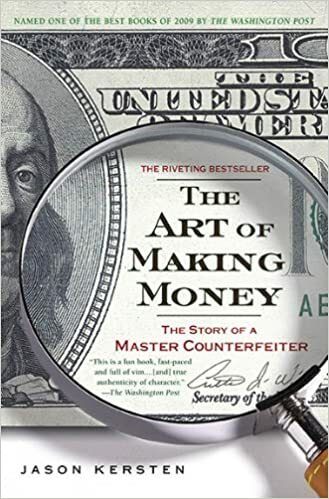 The true story of a brilliant counterfeiter who "made" millions, outwitted the Secret Service, and was finally undone when he went in search of the one thing his forged money couldn't buy him: family. Art Williams spent his boyhood in a comfortable middle-class existence in 1970s Chicago, but his idyll was shattered when, in short order, his father abandoned the family, his bipolar mother lost her wits, and Williams found himself living in one of Chicago's worst housing projects. He took to crime almost immediately, starting with petty theft before graduating to robbing drug dealers. Eventually a man nicknamed "DaVinci" taught him the centuries-old art of counterfeiting. After a stint in jail, Williams emerged to discover that the Treasury Department had issued the most secure hundred-dollar bill ever created: the 1996 New Note. Williams spent months trying to defeat various security features before arriving at a bill so perfect that even law enforcement had difficulty distinguishing it from the real thing. Williams went on to print millions in counterfeit bills, selling them to criminal organizations and using them to fund cross-country spending sprees. Still unsatisfied, he went off in search of his long-lost father, setting in motion a chain of betrayals that would be his undoing. In The Art of Making Money, journalist Jason Kersten details how Williams painstakingly defeated the anti-forging features of the New Note, how Williams and his partner-in-crime wife converted fake bills into legitimate tender at shopping malls all over America, and how they stayed one step ahead of the Secret Service until trusting the wrong person brought them all down. A compulsively readable story of how having it all is never enough, The Art of Making Money is a stirring portrait of the rise and inevitable fall of a modern-day criminal mastermind.